These sayings about aging are all from unknown sources, they are positive words of wisdom on getting older. It is so important to keep a positive attitude about getting older, it's surprising now much we generally just accept all of the negative things that are 'supposed' to happen, just because of our aging. The couple in the photo-quotes on this page are my parents, William & Doreen. They both appreciate that although they cannot manage to do all the things they used to be able to do, they are blessed and keep themselves busy doing things they enjoy, knowing that a positive attitude to getting older makes all the difference. 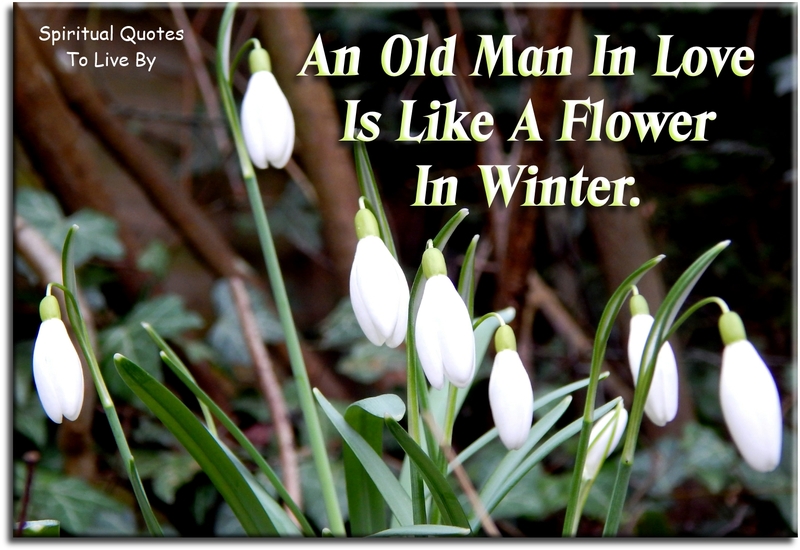 For more inspiration there is also the page of Aging Quotes from known sources and pages containing an abundance of Positive Attitude Quotes and Sayings to aid in focusing on living a joyous life, regardless of the passing years. A man is not old until regrets take the place of his dreams. Age is... only a number. our Soul can stay young forever. My eyes are dim, my mind is slow. I'm loved, respected and not alone. It is a privilege denied to many. If a family has an old person in it, it possess a jewel. I'm not forty, I'm eighteen with twenty two years experience. Life is short... Smile, while you have teeth! Maturity comes with experience… not age. No matter how old you both get... Never stop holding hands, never stop dancing and never stop saying "I love you." The heart has no wrinkles. The older I get, the less I care about what people think of me. Therefore the older I get, the more I enjoy life. They say that age is all in the mind. The trick is keeping it from creeping down into the body. To age is not a problem, but by taking on problems... I will age. Wrinkles are the service stripes of life.